Jean Louis has over 35 years’ of experience in the hydroelectricity business. 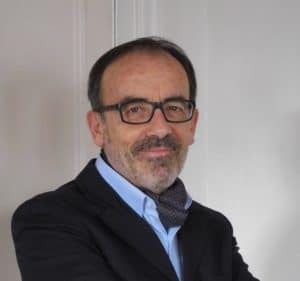 After joining EDF’s (Electricité de France) Research and Studies Department, Jean Louis Ballester spent his entire career in various engineering , design and testing positions in the EDF group. He is at the origin of a breakthrough innovation consisting of analysing transient regimes in hydraulic systems to acquire the key parameters of the monitoring of these systems. This innovation led to the massive deployment of disturbance recording systems in mainland France and overseas departments. Jean Louis hold a PhD in Mechanical Energy from ORLEANS University. Cornel is Associate Professor at the Grenoble INP GIPSA lab where he led the research on the Phase Diagram Analysis innovation which is used in Motrhys pressure transient monitoring solution. Cornel holds a Msc and a PhD in Electrical Engineering from the Brest University . Cornel has published more than 40 scientific papers in the IEEE leading magazine and more than 45 research reports in industrial collaboration context. MOTRHYS won an award at 2018 i-Lab contest: National competition to support the creation of innovative technology companies.